Of all the things/gifts I buy the ones I look forward to shopping for the most is for my baby boy. He might not really be a baby anymore, he is 1.5 years now and sure acts all grown up, but no matter what, he will always be my baby, now, and forever! So this is one of those posts that I LOVE to write, isn’t it just sooo much fun to buy gifts for these kiddos? That wasn’t always the case though, before I became a mom I’d have no freaking clue on what to buy and never really enjoyed buying anything for kids for that very reason, but becoming a parent surely changes you in more ways than one. As I mentioned in this post, the rate at which our baby boy is learning and growing, we as parents are finding it really challenging to keep up. He can now say numbers 1 to 20 (#nokidding), alphabets (in some jumbled order), quite a few rhymes, and a lot lot more, and he is only 18-months-old (and we are like what!?). Sure, he plays less with his toys and more with everything else (TV remote, car keys, cables, shoes, you name it) and even when he does play with the toys he moves from one to another faster than a butterfly flies from one flower to another, and yet somehow he learns from his toys quicker than we ever anticipated. So you can only imagine that Vinay and I are always looking for new educational toys for Aarush. 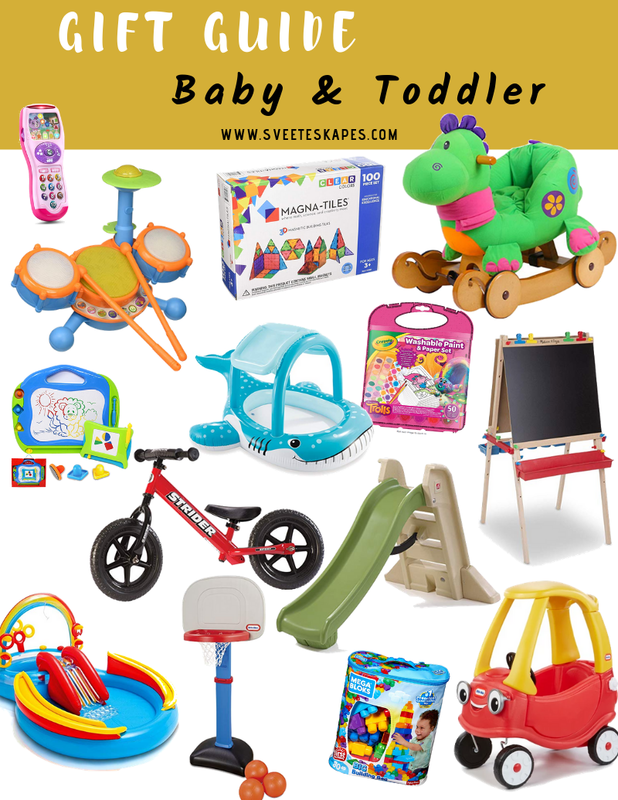 And if you haven’t yet read my Baby Toys Gift Ideas then you need to stop right now and look through that post first because most of those toys are still some of my baby boy’s absolute favorites and some very popular recommendations by fellow mamas. In addition to that post all the things I have listed below are toys that were either bought for Aarush between then and now or toys that are on our wishlist for him to buy as his Christmas presents (you bet it is on our long list of deals to look for this Black Friday and Cyber Week, so keep your eyes peeled for I will post updates about all the sales and deals on the blog and on Instagram, stay tuned).